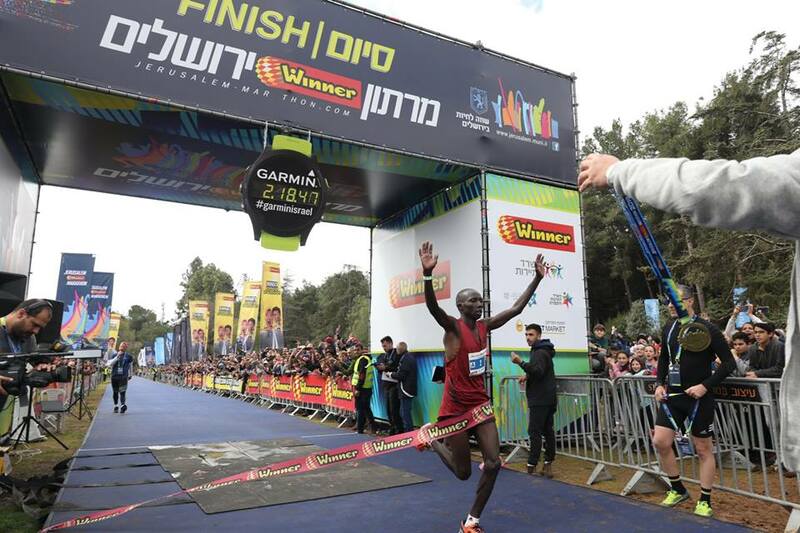 First held in 2011,the Jerusalem International Winner Marathon has become a major event with 30,000 participants, of which hundreds are elite competitors and runners from abroad. The course was especially selected to recount Jerusalem's 3,000-year historical narrative since the beginning of its existence. 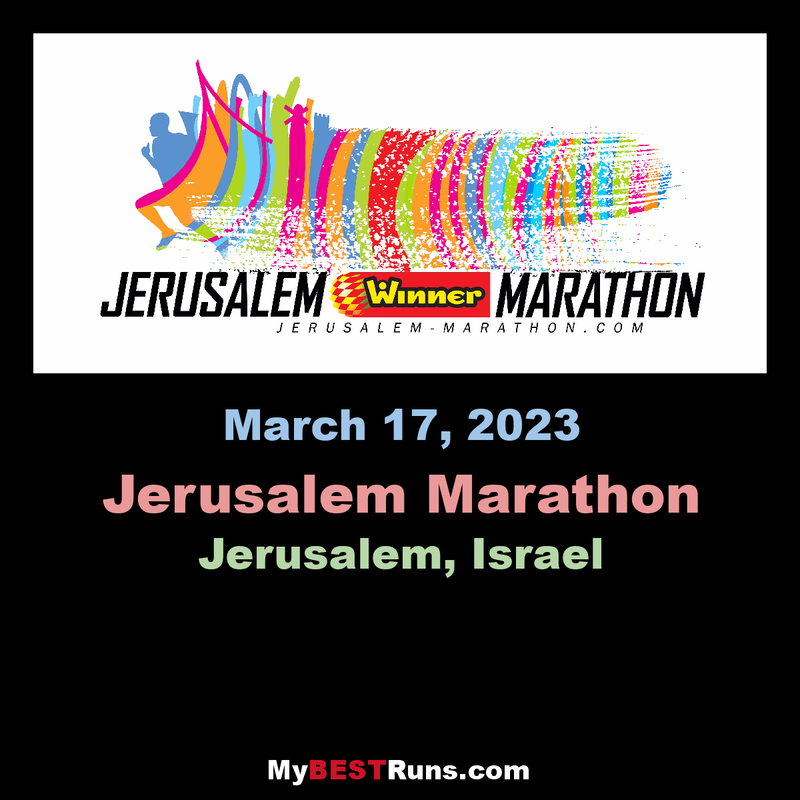 The race challenges runners while exposing them to magnificent views, exquisite landscapes and fascinating historical sites that illuminate 3,000 years of the history of Jerusalem, Israel's capital. Participants run past the Israeli Knesset (or parliament), Machane Yehuda Marketplace, Mount Scopus, the Old David, David's Tower, Hass Promenade and more. Organizers of the race say: "It is guaranteed of be a challenging, thrilling and unforgettable experience for all runners." Start at the junction between the Knesset and the Israel Museum, Hamagbit Sq. on Rupin Rd., heading northwest. The southern end of Sacher Park, enter the finishing funnel from the south, via the Valley of the Cross and the tunnel at the entrance to the city. Start the race near the Knesset building and run towards the Israel Museum, Israel's largest and most significant museum and the tenth largest in the world. From there, continue towards the center of town via Bezalel and Ben Yehuda St.and savor the aromas of the nearby Machane Yehuda marketplace. Head northwest towards Ammunition Hill, site of one of the bloodiest battles in IDF history waged during the Six-Day War. After circling the Mount Scopus Hebrew University campus, run back towards the Old City, past the exclusive shopping mall and luxury hotel at Mamilla, the neighborhood that links the Old City with Jerusalem's new neighborhoods. Take in the historical architecture, narrow alleyways, and the sense of the ancient Jerusalem stone beneath your feet as you enter the Old City through Jaffa Gate. Behold the glorious Tower of David, part of the fortress built in the second century BC to protect the city. Run through the Armenian Quarter, the smallest of the four quarters of the Old City and recall Jesus' final journey down Via Dolorosa located just several hundred meters to the left. The course will then take you alongside the Jewish Quarter for a glimpse of the Western Wall, the holiest site for the Jewish nation and remnant of the Second Temple. Send a silent prayer over to the holy stones as you run towards Zion Gate, also known as David's Gate, on your way out of the Old City. The sight of the ancient archeological City of David coming into view on the left is the perfect opportunity to hum a marching tune. Continue west towards Sultan's Pool, built over 500 years ago. This former water reservoir now quenches Jerusalem's thirst for culture with the many outdoor performances that it hosts. Next, you'll pass Mishkenot Shaananim, a cultural and international convention center that promotes tolerance and pluralism. Send an authoritative wave towards the President of Israel as you pass his official home in Talbia, and then continue running towards the charming Emek Refaim neighborhood, built by the Templars in the 19th century and now a cultural hotspot for Jerusalem residents and visitors alike. The route continues alongside the First Station, a new culture and recreation site established at the old train station where Israel's first train set out en route to Jaffa. Proceed to southeastern Jerusalem and run along the Armon Hanatziv Promenade which connects three walkways – the Haas, Goldman and Sherover Promenades. Make a U-turn at the UN building and run back towards Gaza St. The final stretch of the marathon runs through the enchanting Valley of the Cross, near the ancient Greek monastery and straight towards Ben Zvi Blvd. on the opposite end of the tunnel, where hundreds of spectators are waiting to cheer you on as you cross the finish line.